If you've been reading Daily Cheapskate for a while, you know I'm a big fan of Misto sprayers. We have used Mistos for years now. I got my first Misto for Pesach back in 2008, because I got tired of spending ridiculous amounts of money for kosher-for-Passover cooking sprays, (which often cost more than a Misto for just a single can!). I bought a Misto sprayer, filled it with extra-virgin olive oil, and voila, I had my own KFP (kosher for Passover) cooking spray for pennies on the dollar. Then I decided to do the same thing for during-the-year, and now I have several Mistos, because I like to switch off on using different kinds of gourmet cooking oils. I've got one for olive oil, one for toasted sesame oil and one for grapeseed oil. This Misto in brushed aluminum is at its lowest recorded Amazon price ever, $7.49 with free Prime/SuperSaver shipping. Fill Misto with your favorite oils, vinegars, lemon and lime juice, sherry, or marsala wine. Great for salads, breads, or cooking. Easy-to-use pump style cap features a 2-step operation: simply pump the container, then and press the valve on the pressurized sprayer for an even mist. 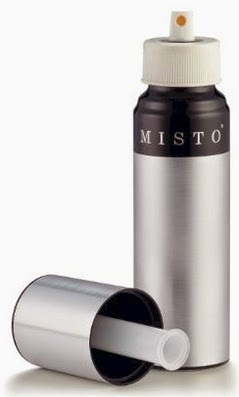 Misto produces an even, pure mist, so you use less oil when preparing foods. You'll eat healthier and save money. Easy to clean with hot water and a little detergent. Environmentally friendly: The non-aerosol sprayer doesn't use chemical propellants, and it's refillable, so no more throwing cans away to end up in landfills. Misto is BPA-free. Sorry for posting this so late (we've still got about 4 hours left on this deal), but the Amazon Gold Box Deal of the Day for today, 4/30/15, are 50%-70% off diamond jewelry. The deals run from very high-end to very managable prices. I found two on the lower end that were priced really well. 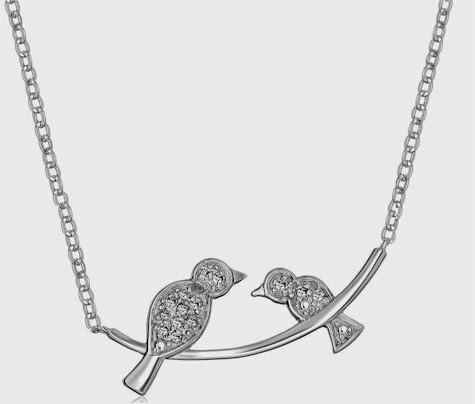 The sterling silver and diamond accent bird 18" necklace pictured above is priced at $44.99 with free one-day shipping and free returns. This necklace has such a unique design...really pretty. 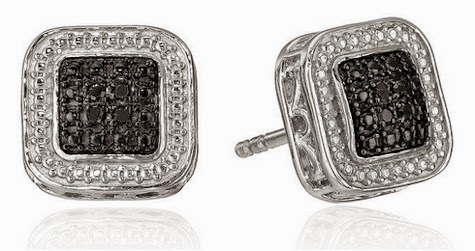 These Sterling Silver Black Diamond Square Stud Earrings are only $34.99 with free one-day shipping and free returns. Beautiful and a nice size, too. There's not too much time left on this one, so shop around over here. Amazon has got this Francois et Mimi 12 oz. 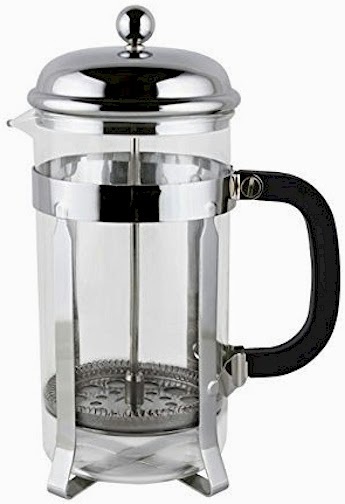 Single Wall Borosilicate Glass French Coffee Press for its lowest price ever, only $6.95 with free Prime/SuperSaver shipping, the lowest recorded Amazon price for this coffee press. This coffee press received 4.2 out of 5 stars over 233 customer reivews. If you've never had French press coffee, you're in for a real treat (it tastes amazing). You really can't go wrong with chocolate truffles for Mother's Day; it's a classic. These are also a great, sophisticated dessert for Shavuos. 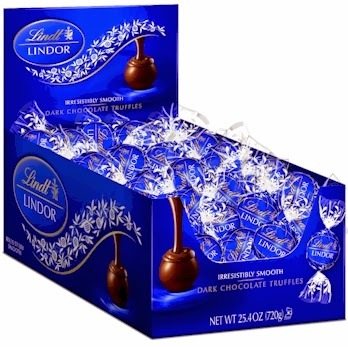 Amazon has this box of 60 Lindt Lindor dark chocolate truffles for $9.99, the lowest recorded Amazon price on these truffles. This is an Amazon Add-On item, which means that it ships for free with a $25 minimum order if you are an Amazon Prime member (and the $9.99 price counts towards that $25), or it ships for free with a $35 minimum order if you're not a Prime member. Kosher-keeping Daily Cheapskate readers, kashrut information about Lindor Truffles is here., including a list of the flavors covered by the Kof-K (kosher dairy, chalav stam. This post may contain affiliate links, which means is you help support Daily Cheapskate when you make a purchase through these links. Read the full disclosure here. 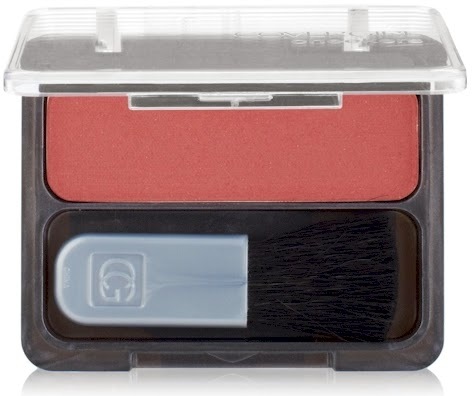 Amazon has got a great $1.50 coupon on Cover Girl Cheekers Blush which will drop those shades priced at $2.08 down to 58 cents. This is an Amazon Add-On item, which means that it ships for free with a $25 minimum order if you are an Amazon Prime member (and the $2.08 pre-discount price counts towards that $25), or it ships for free with a $35 minimum order if you're not a Prime member. 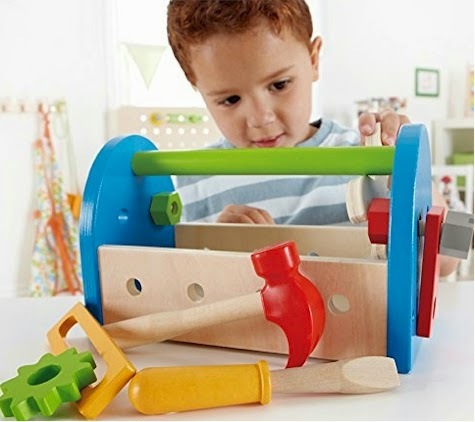 Amazon has got this KidKraft. Modern Island Kitchen for $73.99 with free Prime/SuperSaver shipping. It got 4.1 out of 5 stars over 35 customer reviews. I confess, I think this play kitchen is nicer than my actual kitchen. 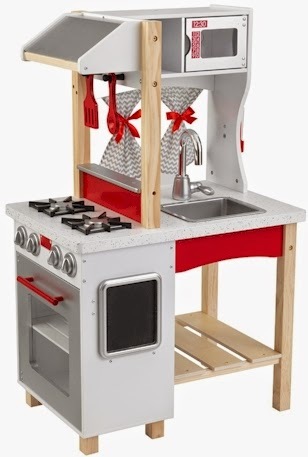 It's got a small footprint, measuring 23.6 x 15.8 x 37.7 inches, so if you've been wanting to buy your child a high-quality play kitchen but live in a smallish apartment, this might be a great solution. price on this item, $189.99 $159.99 with free Prime/SuperSaver shipping (normally $249.99). 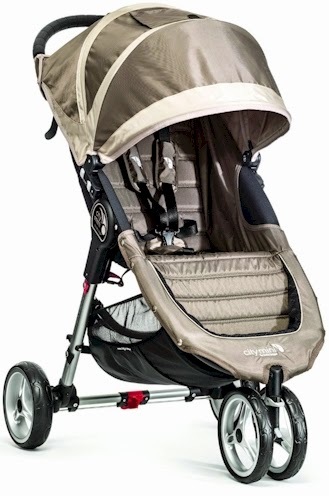 This Baby Jogger received 4.5 out of 5 stars over 57 customer reviews. I'm told my friends with babies who are into running that this stroller is considered one of the best jogging strollers around. Make beautiful custom glass jewelry for less than the price of a single statement necklace. 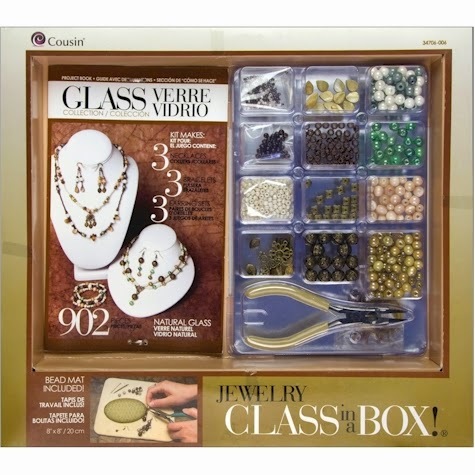 Amazon has dropped the price on this Jewelry Basics Class In A Box Kit (Naturals Glass) from $23.71 to $12.49 with free Prime/SuperSaver shipping, the lowest recorded Amazon price on this popular kit. It got 4 out of 5 stars over 59 customer reviews. It's a great project to work on by yourself or with your daughter. Description: Learn simple and exciting techniques to make jewelry just like you see in department stores! Cousin's Jewelry Class in a Box kits are the perfect solution for everything you need to create fantastic jewelry with professional results. 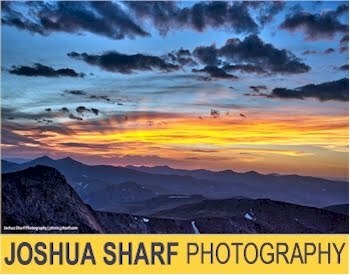 Clear photos and illustrations will take you step-by-step through each technique and all the tools and supplies you need are included. Each Jewelry Class in a Box kit contains one 3-in-1 Jewelry Tool; one 8-inch by 8-inch bead mat; assorted beads and findings for completing the projects; and one project book. Imported. The growing season has officially begun! Have you started working on your garden and back yard yet? 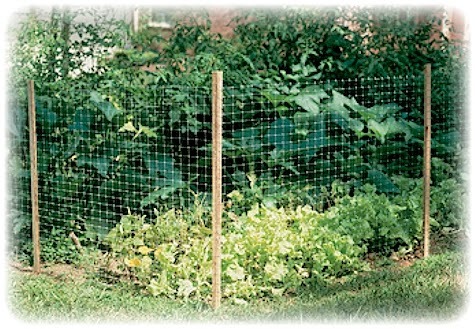 Amazon just had a really nice price drop on the 3' x 50' roll of Dalen Gardeneer Plastic Fencing from $22.99 to $12.63 with free Prime/SuperSaver shipping, the lowest recorded Amazon price on this item. It got 3.8 out of 5 stars over 50 customer reviews. 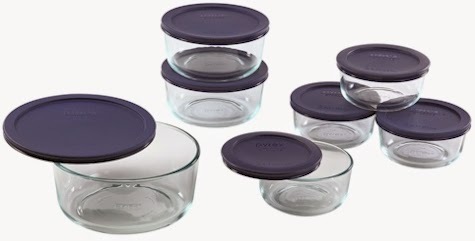 Amazon has got this Pyrex Easy Grab 4-piece value pack for $13.50 with free Prime/SuperSaver shipping, the lowest recorded Amazon price on this set. Do you have a child who is dreaming of going into space someday? 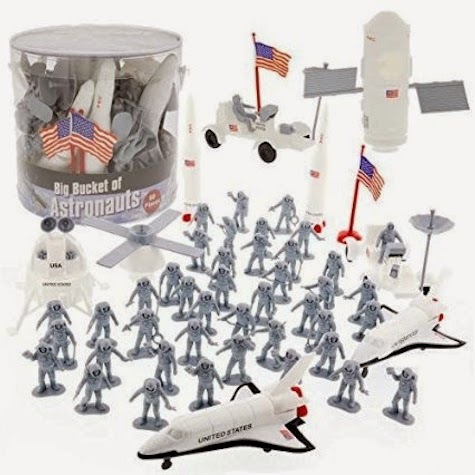 Amazon has got the 60-piece Big Bucket of Astronauts for $19.95 with free Prime/SuperSaver shipping. It's not yet rated but it's an Amazon #1 New Release in Amazon Toys & Games. 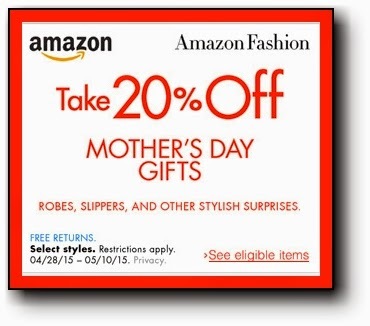 Get 20% off these Mother's Day gifts, including robes, sleepwear and other select apparel on Amazon, when you enter the promo code 20MOMSDAY at checkout. 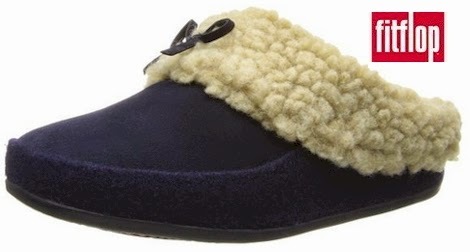 These FitFlop slippers start at $62.99, but they drop to $50.39 with free Prime/SuperSaver shipping after you apply the promo code. Our patent-pending, original MICROWOBBLEBOARD(TM) midsole technology fuses three diagonal sections of triple-density EVA into a single, seamless, underfoot platform to absorb shock, diffuse high-pressure spots, and make your feet feel amazing! This Oscar De La Renta Solid Charmeuse and Georgette Long Robe starts at $39.95, but drops to $31.96 with free Prime/SuperSaver shipping after you apply the promo code. Check out the other Mother's Day gift selections here, and don't forget to apply the promo code, 20MOMSDAY to get your 20% off discount. 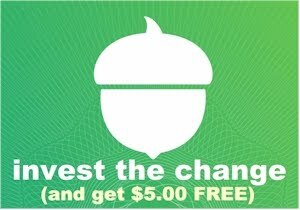 Print your coupon to save $0.50 on 5 lbs. 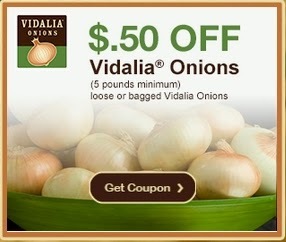 or more of Vidalia onions (either loose or bagged). 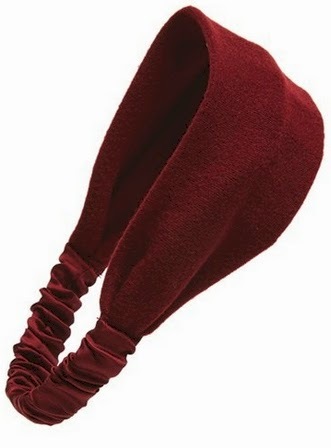 Nordstrom has these Tasha fleece head wraps for $10.80 with free shipping and free returns. I just bought a bunch of these to wear with my fall; this price certainly beats what I would normally pay in Boro Park. These come in four colors: black, merlot, charcoal and navy. 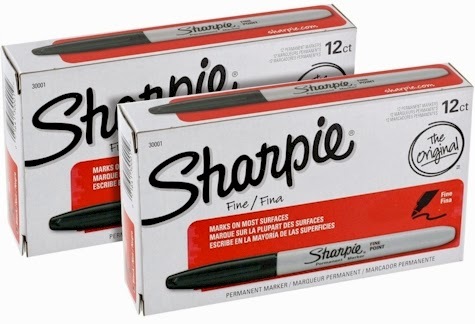 Amazon has this 24-count pack of black fine-point Sharpies for $9.24 with free Prime/SuperSaver shipping; that works out to 39 cents per Sharpie. I use black Sharpies in my kitchen every day, so I was all over this deal. 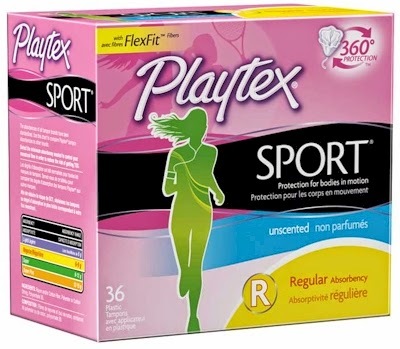 Print your high value buy-one-get-one-free (BOGO) coupon for Playtex Sports pads, liners, or combination pack here. Value up to $7.99 (excludes 20-count liner packs). Good BOGO coupons are rare and hard to come by, so print your coupon now, look for a sale later. 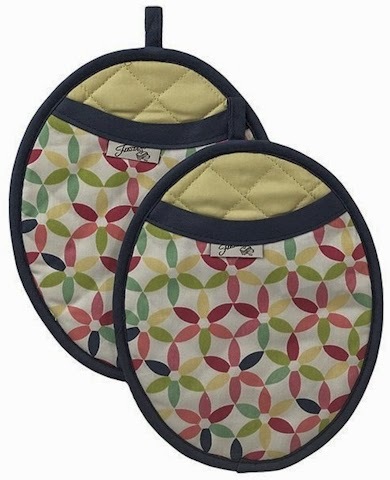 Amazon has got this set of two cotton Fiesta oven mitts with neoprene pads (8" x 10") for $5.23 (or $2.62 each). This is an Amazon Add-On item, which means that it ships for free with a $25 minimum order if you are an Amazon Prime member (and the $5.23 price counts towards that $25), or it ships for free with a $35 minimum order if you're not a Prime member. Amazon has got this set of a dozen Luminarc goblets (10.5 oz each) for $27.10 with free Prime/SuperSaver shipping (that works out to $2.26 per wineglass). 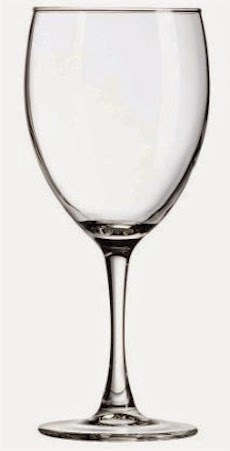 This is a fantastic price for a set of basic wineglasses (wish this deal had been around before Pesach!). This set got 4.4 out of 5 stars over 158 customer reviews and is an Amazon #1 Best Seller. 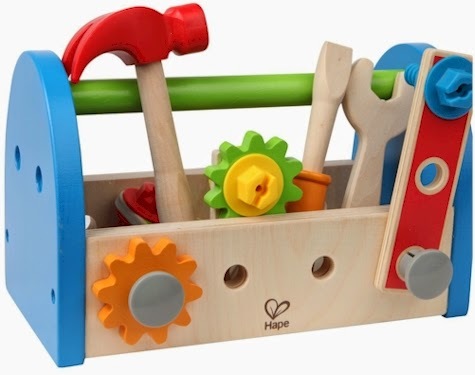 Amazon has got the Hape Fix It Tool Box for $15.67 with free Prime/SuperSaver shipping. It got 4.6 out of 5 stars over 63 customer reviews. 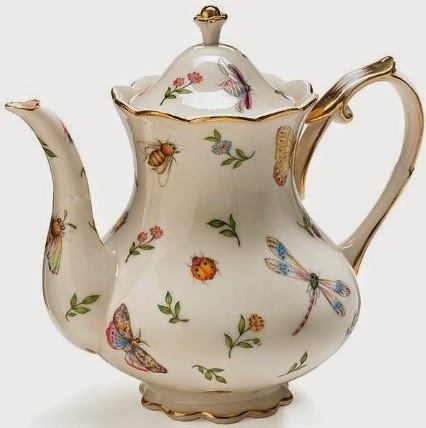 Amazon has got this porcelain, gold-trimmed Butterfly & Dragonfly Teapot for $22.53 with free Prime/SuperSaver shipping. It got 4.4 out of 5 stars over 97 customer reviews. Amazon has got this Cuisinart microfiber 60" x 102" tablecloth for only $16.04 with free Prime/SuperSaver shipping. 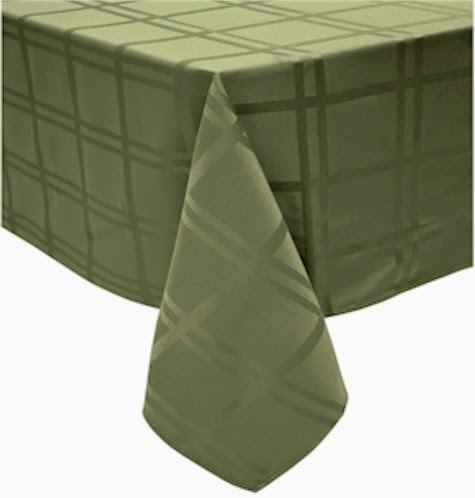 This tablecloth received 4.3 out of 5 stars over 27 customer reviews. The leading 40-year old brand equated with quality construction in the kitchen & for related home use. Consumers recognize that nobody covers kitchen like Cuisinart. Cuisinart delivers products that make meals memorable while introducing new ways to entertain family and friends. Textiles continue the Legacy of Savoring the Good Life. Innovative designs are our unique point of difference in the marketplace. 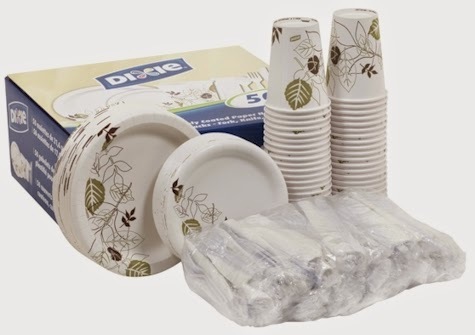 Time to stock up on paper plates for summertime barbecues and picnics. 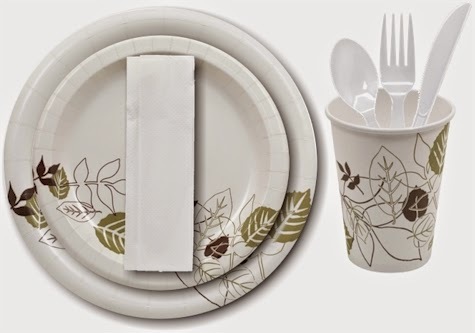 Amazon has a Subscribe & Save deal on this set of 50-place-settings Dixie paper goods, which comes to as low as $25.49 shipped (or 51 cents per place setting), the lowest recorded Amazon price on this set. Each place setting comes with two plates, a hot/cold cup, napkin, and fork/knife/spoon. $25.49 (51 cents per table setting) with the Subscribe & Save 15% discount (if you can take delivery of 5 or more active subscriptions in one month) . $28.49 (57 cents per table setting) with the standard Subscribe & Save 5% discount. Wow! Amazon has got this 14-piece Pyrex set with blue covers for only $14.97 with free Prime/SuperSaver shipping, the absolute lowest recorded Amazon price on this item. It got 4.4 out of 5 stars over 3,623 customer reviews. 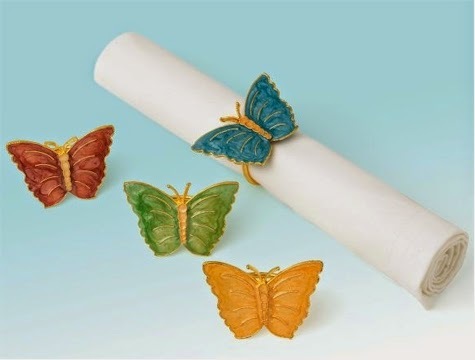 Amazon has got this set of four Lenox Butterfly Meadow napkin rings for $15.26 with free Prime/SuperSaver shipping. 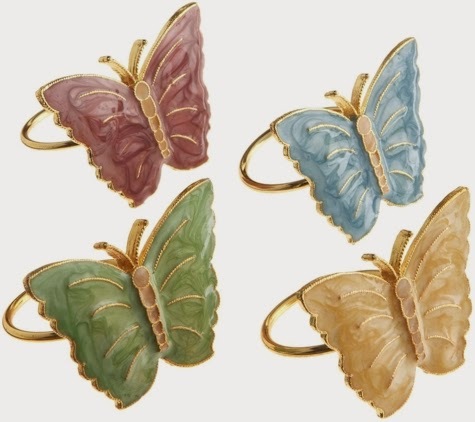 That comes to $3.82 per Lenox napkin ring (even less than what they cost on the Lenox.com site, $24.95). 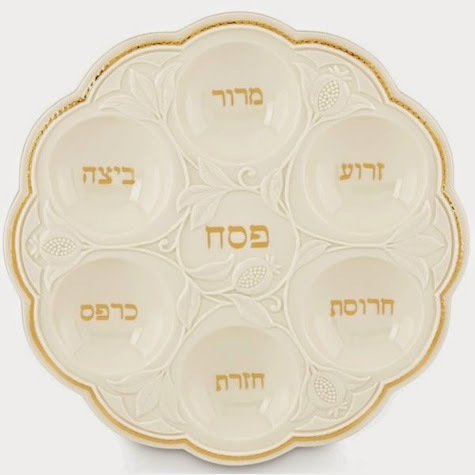 Amazon has got this Lenox Judaic Blessings Seder Plate for $56.24 with free shipping, the lowest recorded Amazon price on this lovely Lenox seder plate, which usually goes for around $75 on Amazon. Amazon has got this set of 10 Luminarc 16 oz. 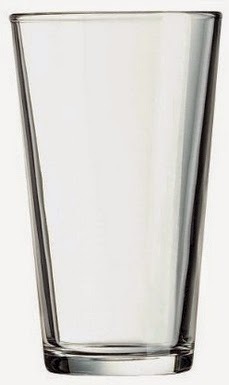 pub glasses for $16.49 with free Prime/SuperSaver shipping. At $1.65 per glass, this beats out any Costco or Ikea deal I've seen. I wish this deal had been around before Pesach! (I might just buy these and set them aside for next year's Pesach.) This set got 4.6 out of 5 stars over 324 customer reviews and is an Amazon #1 Best Seller. 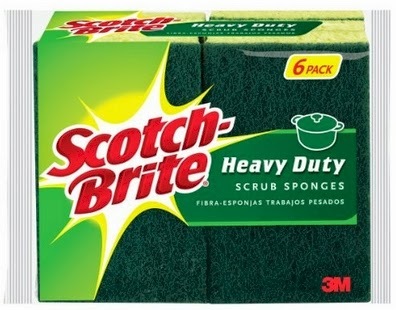 Amazon has got this 6-count pack of Scotch-Brite Heavy Duty Scrub Sponges for $4.80, the lowest recorded Amazon price on these scrub sponges. This is an Amazon Add-On item, which means that it ships for free with a $25 minimum order if you are an Amazon Prime member (and the $4.80 price counts towards that $25), or it ships for free with a $35 minimum order if you're not a Prime member. Heavy Duty Scrub Sponge size: 4.5 in x 2.7 in x 0.6 in. 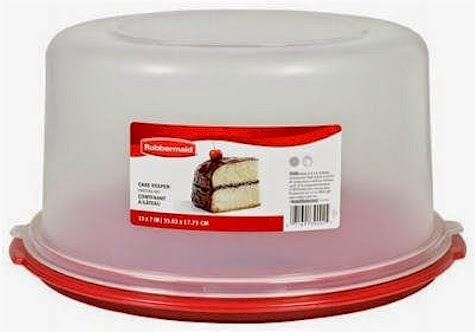 Amazon had a great price drop on this Rubbermaid cake holder, now down to $11.31 with free Prime/SuperSaver shipping. The average price on this cake holder is slightly over $27. It's top-rack dishwasher safe and it's 13" in diameter x 7" high. Anyone need a Shabbos timer? 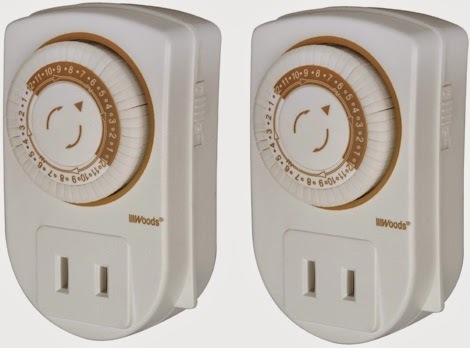 This 2-count pack of Woods Indoor 24-Hour Mechanical Outlet Timers has dropped to $8.99 with free Prime/SuperSaver shipping on Amazon ($4.50 each), the lowest recorded Amazon price for this item. These timers receive 4.1 out of 5 stars over 850 customer reviews. Please note that these timers accommodate a 2-prong plug only, so they will work fine with most lamps, fans, Crock Pots, warming trays etc. but are not suitable for air conditioners or other heavy duty appliances that require a grounded 3-prong outlet. Anyone making cheese cake for Shavuos? Print this coupon for $1.00 off any two packages of Philadelphia Cream Cheese 7 oz. or larger now and redeem when you shop for Shavuot. 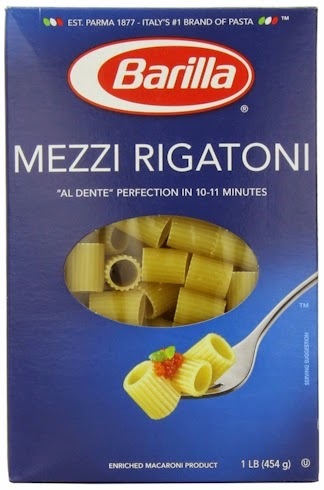 Amazon has got a 12-count pack of Barilla Mezzi Rigatoni for as low as $1.07 per 1 lb. box shipped when you stack a high-value 20% off coupon with a 15% off Subscribe & Save discount (which amounts to a 35% off discount from the original price). $16.77 - $3.95 coupon = $12.82 or $1.07 per 1 lb. box with the Subscribe & Save 15% discount (if you can take delivery of 5 or more active subscriptions in one month) . $18.74 - $3.95 coupon = $14.79 or $1.23 per 1 lb. box with the standard Subscribe & Save 5% discount. If you prefer, you can apply almost the same pricing discount and deal to this 12-count pack of Barilla Campanelle ($1.06 per box), or this 12-count pack of Barilla Fiori ($1.04 per box) instead. 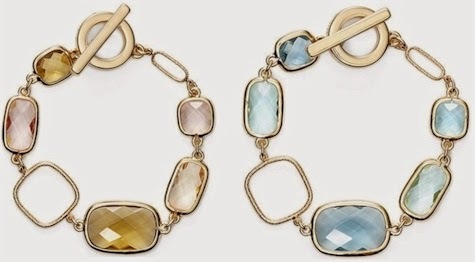 Nordstrom has got this Anne Klein stone toggle bracelet, in either gold/topaz or silver/blue, now down to $22.50 with free shipping and free returns. I think this bracelet is absolutely beautiful, and I love the toggle clasp. If you've been reading Daily Cheapskate for a while, you know that I'm a huge fan of Calphalon; in my humble opinion, it is the Rolls Royce brand of kitchenware in quality, looks, and (unfortunately) price. But Amazon has this Simply Calphalon 6-piece stainless steel bakeware set for $22.49 with free Prime/SuperSaver shipping. Pretty good price considering that a single Calphalon baking pan usually goes for around $15. This set received 4.5 out of 5 stars over 556 customer reviews, and is an Amazon #1 Best Seller. (I think this is easily one of the best kitchenware deals on Amazon. You could spend more than this on an Oneida baking set with fewer pans. 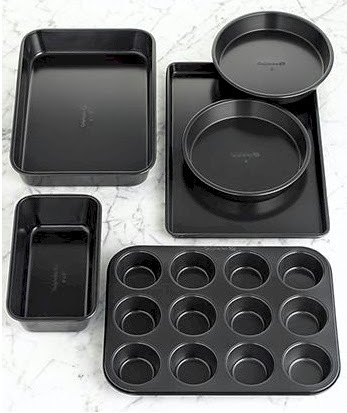 This set comes with the Calphalon 10-year warranty (make sure you register your Calphalon set as soon as you receive it), so no more throwing out baking pans if they start to warp or otherwise fail. Reinforced rolled edges prevent warping. Innovative stainless steel bakeware has interlocking non-stick layers deliver long-lasting, high-performance clean release with even the stickiest or most delicate baked goods. Heavy-gauge stainless steel core heats evenly without hot spots so your cookies and cakes come out of the oven perfectly and evenly browned. Toffee-colored nonstick finish is beautiful and functional. The lighter color makes it easier to prevent overbrowning. Full 10-year warranty. Calphalon will replace any item found defective in material or workmanship when put to normal household use and cared for according to the instructions. Available as individual baking pans or bakeware sets. If you take your kitchen tools very seriously, pay close attention to this particular deal. Stainless steel construction; won't rust, corrode or weaken, FDA certified materials. Modern, sleek design; will easily fit with current kitchen surroundings. Easy to clean; simply store to dry without excess scrubbing. Includes hanging rack to store all 6 utensils for easy access. Comes with a 90-day money back guarantee. This Philips Sonicare Powerup Battery Toothbrush (model #Hx3631/02) has dropped to $9.95, but "clip" the $2.00 coupon and it drops even further to $7.95 with free Prime/SuperSaver shipping. This Sonicare received 3.8 out of 5 stars over 219 customer reviews. I started using a Sonicare at my dentist's suggestion when he diagnosed me with mild gum disease, which promptly disappeared after about 3 months of using the Sonicare. You just can't compare how well it cleans your teeth as compared to a regular toothbrush. UPDATE: The price is now $24.95, up by $2.00, but still a great deal. 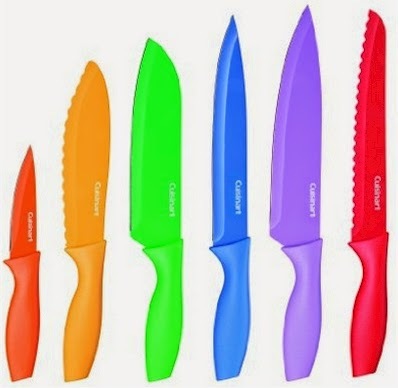 Remember, back in March, I posted about this Cuisinart Advantage 12-piece knife set for $22.14? Well, that deal is still good, but I found one on this same Cuisinart knife set that's ever so slightly better. 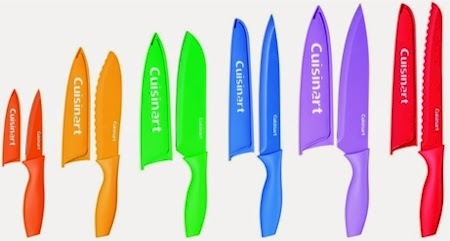 Get this 12-piece Cusinart Advantage knife set AND this 8-pack of Cuisinart terry dish cloths for just 81 cents more, $24.95 with free shipping. 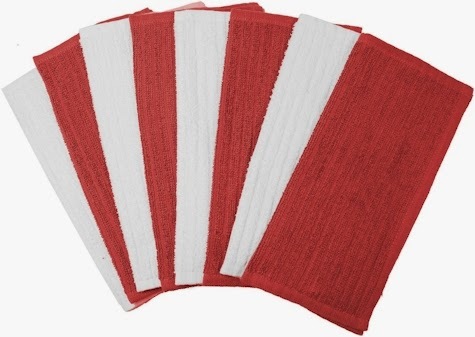 It's really like getting the dish towels for nearly free $2.81, while Amazon sells them separately for $16.66 over here! What a great deal! If you've been sitting on the fence about this popular knife set, I think this deal is a great opportunity to score the Cuisinart knife set along with dish cloths for a fantastic price. 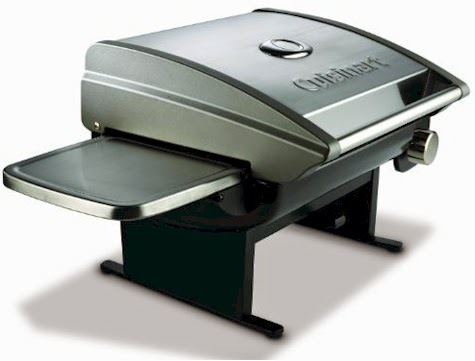 This Cuisinart All-Foods 12,000-BTU Portable Outdoor Tabletop Propane Gas Grill (model #CGG-200) is now $116.99 with free shipping (yesterday, this grill was $156.81). It got 4.4 out of 5 stars over 562 customer reviews. If you need a stand for this CGG-200 grill, Amazon has this one for $57.19 or this one for $49.98, both with free Prime/SuperSaver shipping. Amazon's Gold Box Deal of the Day is 40% off this very highly-rated Graco Booster Car Seat, which is available in four colors/patterns, originally $49.99, today only $28.99 with free Prime/SuperSaver shipping and free reurns. This super-popular booster car sear received 4.5 out of 5 stars over 1,1166 customer reviews. The Graco Highback TurboBooster child car seat helps safely transport your big kid from 30-100 pounds. Top rated by leading consumer magazines and publications. Rigorously crash tested to meet or exceed US safety standards. This child car seat booster is designed with the style and comfort features that kids love. Easily converts to backless booster for years of use.